Our latest student, Sam Down, is studying Engineering at the Sir Frank Whittle Studio School in Lutterworth. A progressive and dynamic place to learn, it focuses on both academic and work-related education in keeping with APT’s emphasis on work-based training for our own engineers. We are very pleased to welcome Sam into the team. 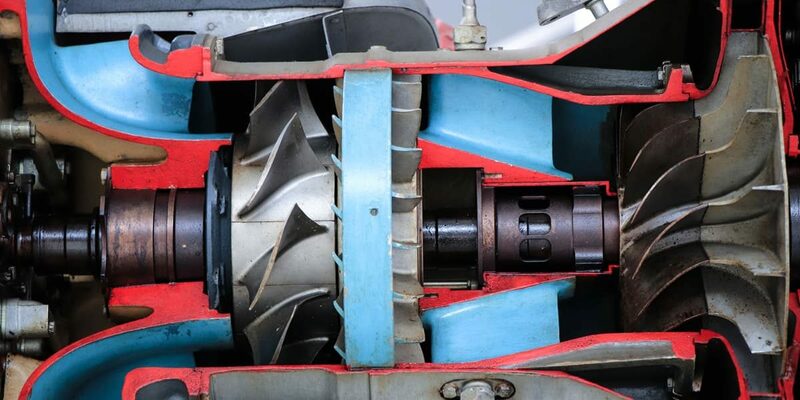 Named in his honour and inspired by the work of Sir Frank Whittle, the inventor of the turbojet engine, the school specialises in Engineering and develops the students’ self-reliance and determination to succeed in the work place. Sam comes to us with a particular interest in pursuing a career either in the Aerospace, Automotive or Security sectors. 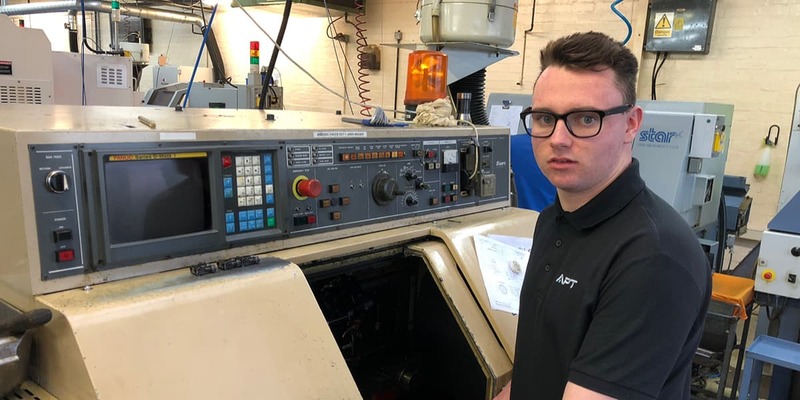 Aged 16, he applied for a placement with APT knowing that we would nurture his interest in these sectors and he would benefit from our 60 years’ experience in the manufacturing industry. Sam joined us in October and during his time with us he will be able to work in every department on our site. 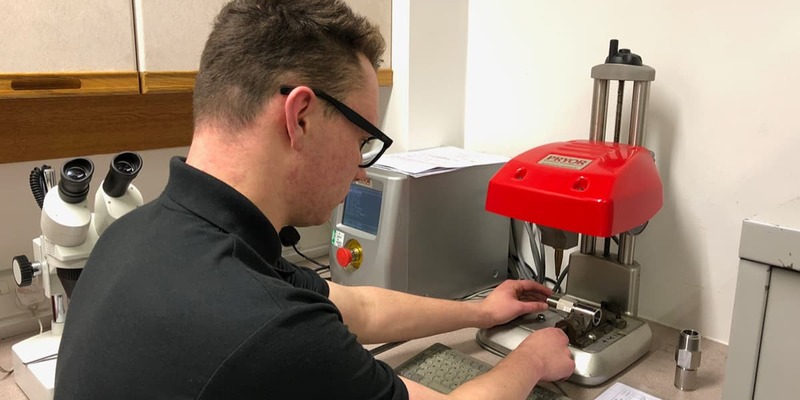 He has already had the opportunity to learn about turned parts as well as our rigorous inspection and quality control systems. Sam has also been marking parts for the Aerospace sector. He is looking forward to help designing components with our latest CAD modelling software and seeing how we select raw materials and produce the parts. The Aerospace products we manufacture can be found in a wide variety of equipment, from planes landing gear to emergency breathing apparatus, see some parts example in our gallery. Outside of his Level 3 B-Tech studies, Sam is a keen and determined sportsman, swimming at county level and enjoying a friendly game of football. He has always been interested in cars and how things work. The placement at APT has confirmed to him that he wants to pursue a career in engineering and that he can turn something that he has a passion for into a full-time job. 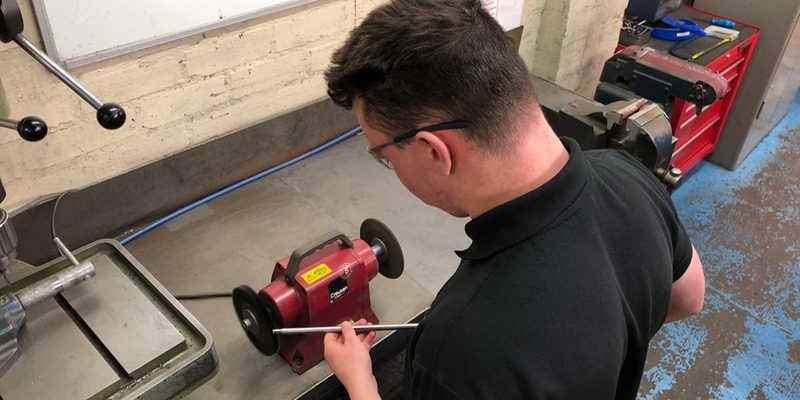 His experience with us has made him want to follow the apprenticeship route. 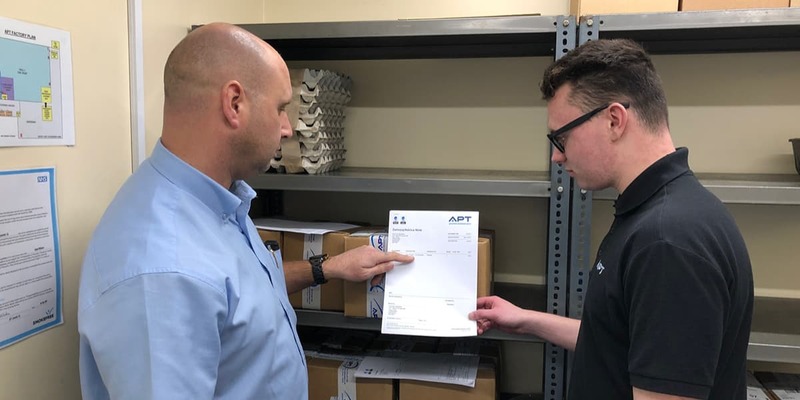 This is Sam’s first work placement and he has been surprised at the variety of products that APT makes, the wide range of raw materials that we use and the extensive knowledge of all our engineers. We are not only a trusted supplier to the Aerospace industry but manufacture parts for the Oil & Gas, medical and Security sectors to name a few. He has been made to feel a valued member of the team and enjoys the welcoming attitude of the people who work here, “They have all made me feel so comfortable”. At APT, we have always believed in training our engineers comprehensively, in every aspect of the manufacturing process. We run our own 4 year in house training scheme. It is important to us to be able to offer a realistic insight into an Engineering career and to inspire the brightest young talent.